This week I'm delighted to have my husband home from Switzerland, crazy about all the gorgeous summer produce, and excited to share some big news very, very soon. But in the meantime, sharing some of my favorite links from this week! Digging this minimalist beach celebration. This sweet fête is equal parts classic and chic. Lessons learned officiating a wedding ceremony. Stunning hardly seems strong enough. 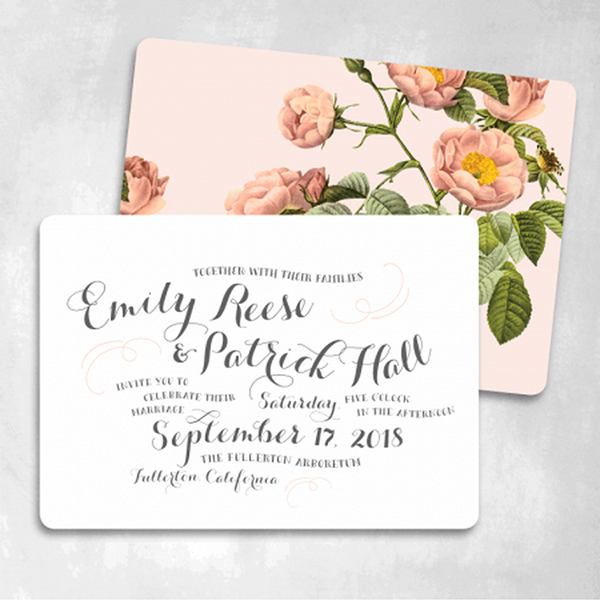 Blush Rose Invitation by Smitten on Paper. This place is a very nice place for a wedding and worth looking into. While I didn't have my own wedding here, I've seen the Malibu wedding venue in all its decked out glory. On a smaller scale, we had our prom there. This truly is a beautiful building with fabulous views.